I believe that being a completely objective journalist is impossible. 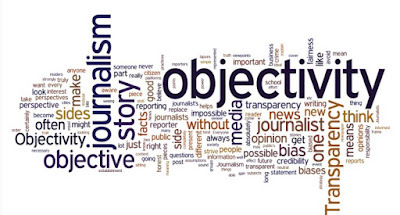 Today, objectivity is defined as "(of a person or their judgment) not influenced by personal feelings or opinions in considering and representing facts." 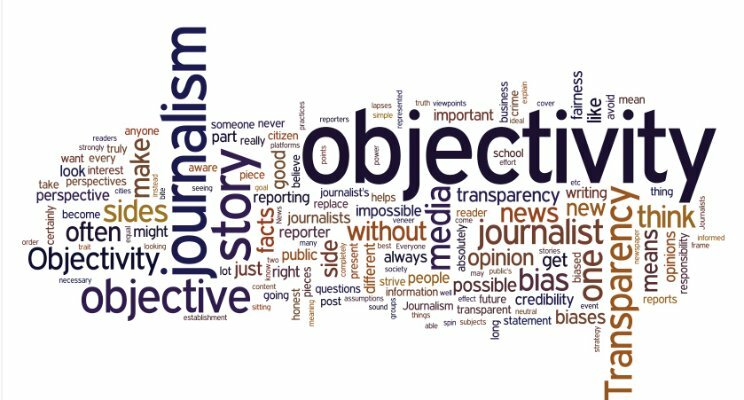 The evolution of objectivity in journalism is discussed in this article by the American Press Institute. API explains how the first mention of objectivity was around the 1920s where the term meant journalists should recognize any bias that they may carry unconsciously. The goal of objectivity was to create a method to test information for facts without personal and cultural bias chipping away at the accuracy of the work. Each and every one of us have experiences that mold our opinions and beliefs and it is not realistic to expect a person to completely separate those experiences from their profession. I believe that limiting bias and being honest about any potential bias in reporting is essential. Otherwise, journalists will lose credibility and the public will overall lose their trust in the press, which is already happening at a rapid rate today. The concept of objectivity directly ties in with SPJ's Code of Ethics specifically in respect to the codes Act Independently and Be Accountable and Transparent. According to the Act Independently code, it is the duty of the journalist to avoid conflicts of interest and disclose unavoidable conflicts, "avoid political and other outside activities that may compromise integrity or impartiality or may damage credibility," and "resist internal and external pressure to influence coverage." I respect and trust a reporter who decides to step away from any story that they may have a personal bias with. For example, if a reporter personally knew the victim of a homicide, that reporter should not cover the crime or the trial of the alleged killer. It would be impossible for the journalist to remain objective in a situation that close to him/her; it would be a clear conflict of interest. If a reporter is an outspoken liberal and personally hates President Trump actively on social media, in my opinion, that reporter should avoid working on stories related to politics. I am less likely to trust a journalist who says negative things about our president when I know they have a personal bias against him and are outspokenly liberal. A reporter, in my opinion, should keep all political opinions to themselves and off social media. To me, this code also means that journalists need to be upfront about any potential bias they may carry from their personal life to not allow their beliefs to influence coverage. For example, if you are a homophobic racist, you should not be reporting about LGBTQ issues or #BlackLivesMatter because you will be unable to be objective about either topic. I will respect a journalist so much more if they let the reader/viewer know about their bias before I read/watch the story than for a reporter to try to pass themselves off as objective. That way, I can form my own opinion on what is fair and what is skewed due to the bias of the journalist. The Be Accountable and Transparent code discusses the idea that ethical journalists take responsibility for their work and respond to questions about "accuracy, clarity and fairness." To me, this means a reporter owes it to their readers/viewers to be honest and open with them should their credibility/bias ever come into question. A journalist's function is to act as a watchdog for the government in order to provide a check on our nation's leaders, and the public should question their journalists in order to check in on the credibility and accuracy of the information the public is served. In my opinion, while objectivity in journalism is impossible to achieve as each of us have personal experiences, values and beliefs, being honest and upfront about bias is what makes an ethical journalist.